a good conclusion to the three books. not as good as the first book but brings it all together nicely. loved the whole series. can't wait to read the next book in the series. I seriously cannot get enough of this book. I've recommended it countless of times too! It's not often I enjoy the third book in a series as much as the first. 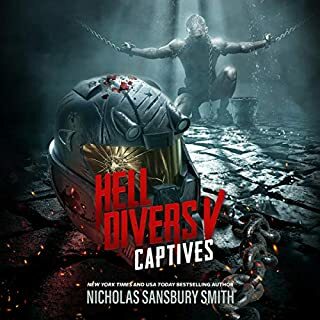 The world and charactets the author has created is wonderful and I am very much looking forward to future instalments. 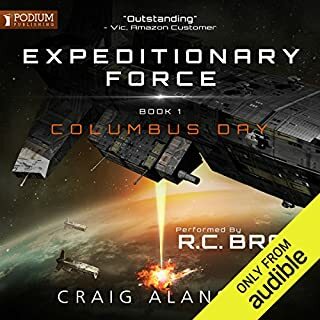 I love this collection of audio books, I am impressed,well written well read, looking forward to the next one. A great end to the trilogy. I thought it was the best book of the three, bringing every story thread to a conclusion. who knows if we'll see X again but if we do it'll be a whole new story very different from the previous. Good finish to a great series. Highly recomended! Very enjoyable conclusion. Few forgivable holes in the story but all finished off very nicely. Even scope for a book 4. Excellent narration as usual from RC Bray. Not as good as the previous two but just in terms that thematically it covered the same ground. Left me hungry for more. A great third instalment to the book series. Nicely answers the questions which were begging to be answered in the previous book. But, also makes you ask so many more. 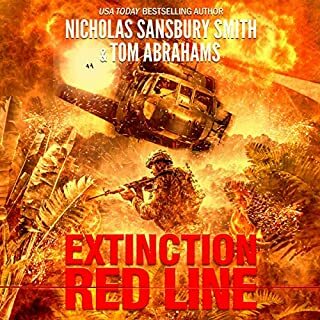 While it was an enthralling tale and superbly covered by RC Bray, my nitpicking brain had a few more wtf moments with this. Its only minor things, especially given the pace and amount of thinking needed for story sweet in the future. 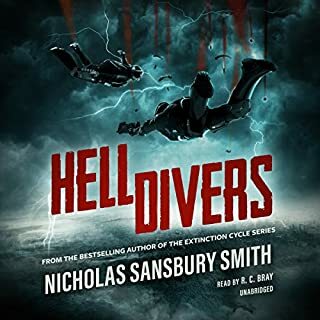 A fantastic and truly captivating continuation of the Hell Divers series. This is one of the most original series I’ve encountered in the last couple of years and one I’ll definitely be re visiting. 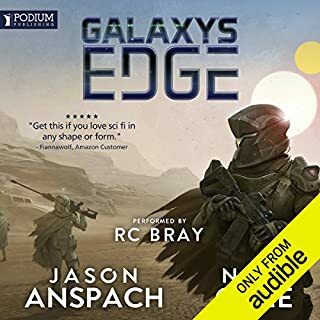 RC Bray continues to provide fantastic narration and retains his status as my favourite Audible narrator. This book and recording have been executed with excellence. It's quite refreshing to have twist and turns in a story that you can't predict. I couldn't stop listening, on the edge of your seat stuff. I cant wait for Book 4. One of the best series I know of!!! As a fan of books like “Ready Player One” and “Off To Be The Wizard”, I was not sure what to expect from this title. My mind just could not get enough! 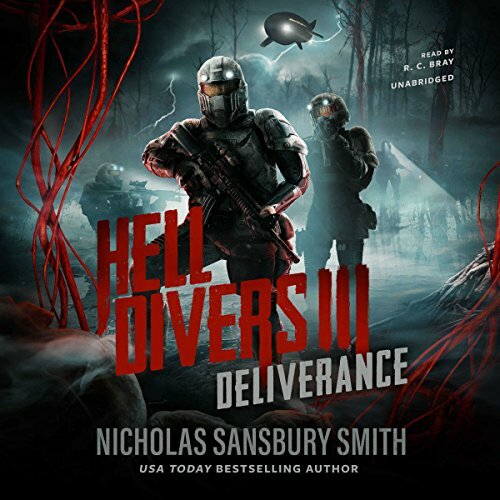 First it was Hell Divers, then it was Hell Divers 2 Ghosts and then this awesome Hell Divers 3 Deliverance. The only down side to this series!!!!! I want more more more more. it was a good story and as ALWAYS good narration. R C Bray brings all these good books to life. well done all. Always a Solid listen; from start to finish. This serious has been a great listen, Book 3 being no exception. 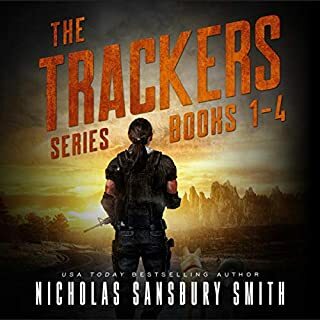 Action, well-rounded characters, emotionally charged story with a great narrative. Can wait for the next adventure in this Distopian world.